* This trip was made possible by the gracious support of ScotRail, Scotland’s primary rail system, and we had a blast! Scotland is an amazing place, and it’s really worth seeing more of the beautiful countryside outside of Edinburgh. 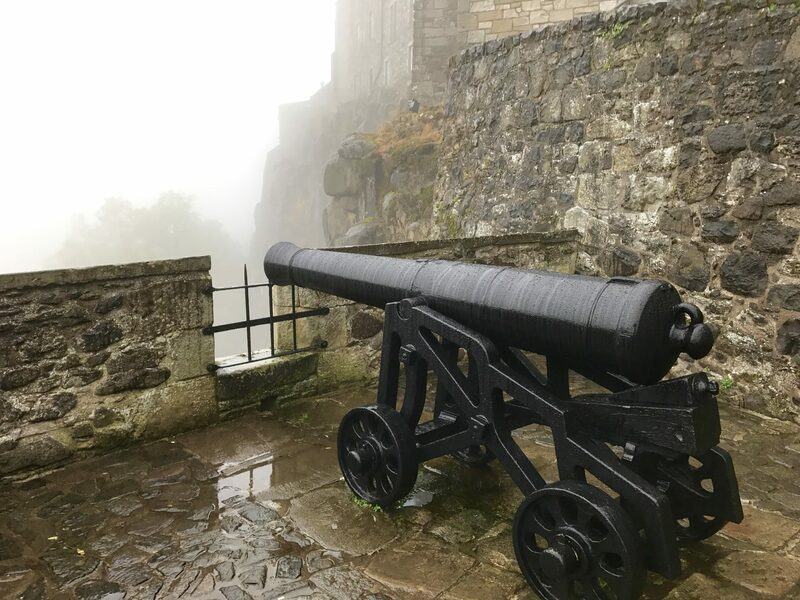 We took a day trip to Stirling Castle from Edinburgh by ScotRail train, and it was a very easy 45-minute trip down the rails to the town of Stirling, Scotland. With just enough time for a spot of tea and some gorgeous views of the countryside whizzing by, we reached the Stirling train station easily and set out for a nice walk through this charming town up the hill to the Stirling Castle. 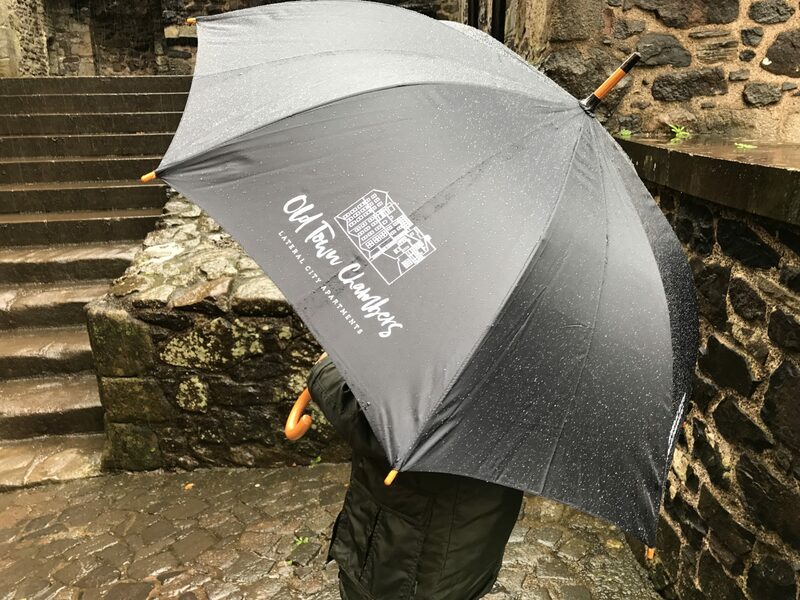 It drizzled rain while we were there, which added the perfect Scottish mystery to our visit of this historic place. On arriving, we walked over the moat and through the castle gates – directly into the 16th century. What’s a little rain in Scotland? It just adds flavor to the historic scene at Stirling Castle. We totally geeked out and wanted to play Dungeons and Dragons or something. Maybe Game of Thrones perhaps? 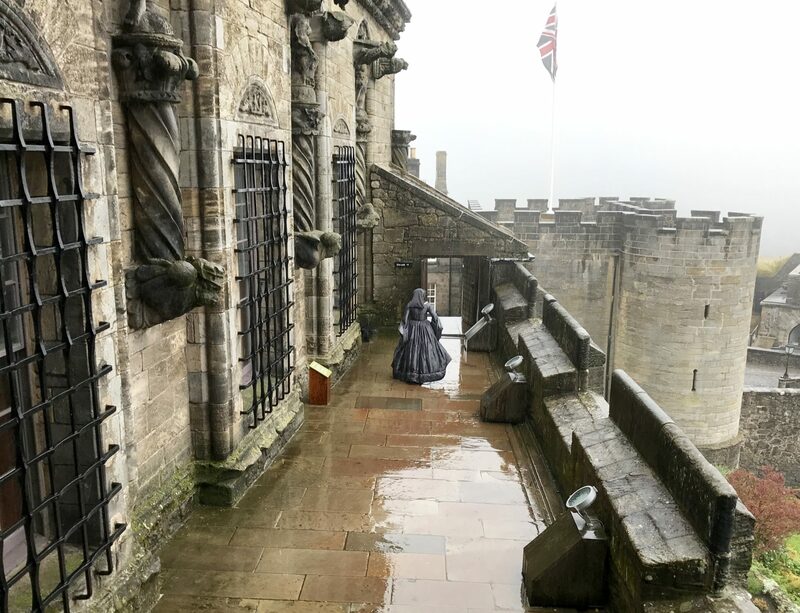 On certain days, Stirling Castle comes to life with a population of actors in period costume, reenacting what it had been like to live here in the 1500-1600s. Women dressed as Ladies in Waiting and men as Courtiers greeted us as Lords and Ladies come to visit the Queen. In each major room of the Castle, demonstrations were set up to illustrate various parts of daily life. For example, in one room a feast was set up on long tables with real food and dishes cooked during that time. 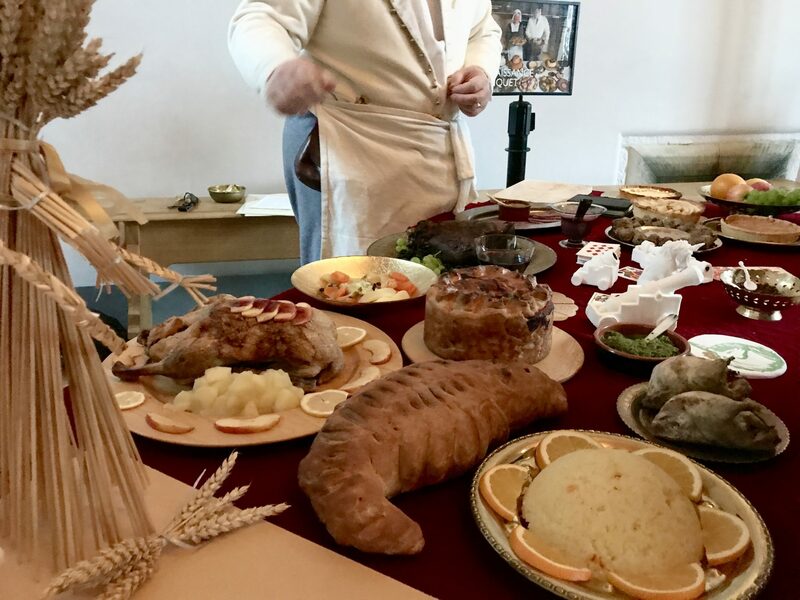 We were told by the fair maiden that this was obviously a royal banquet because the food featured was chosen to display the wealth of the household when greeting VIP guests. (I guess we rated!) A roasted goose, partridges and other meats were set up, along with sweets like fruit pies, mincemeat tarts and these gorgeous figures made from sugary marzipan. The dragon was truly a work of art. From there, we entered another hall filled with an armory of swords and shields as well as several suits of armor. We couldn’t help posing for a photo or two with these old guys. Inside further, we ventured into the Queen’s bedchambers, where Mary Queen of Scots once resided in her royal estate (she was born here). Her room was hung with ancient tapestries all around, depicting scenes of war, peace, hunting, fishing and other noble activities. The canopy bed was adorned with deep red fabrics, draped across the bed and made into bed linens. To say it was ornate would be an understatement – it was downright over the top. Royalty liked it fancy back then! 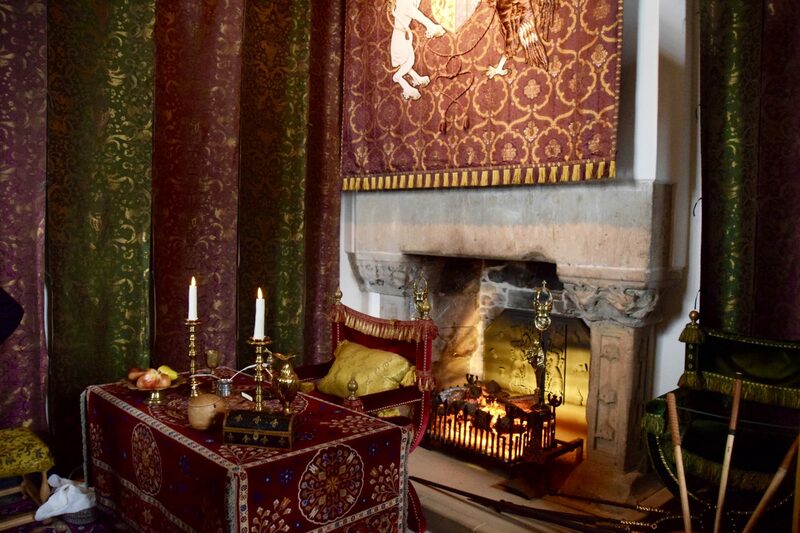 The Queen’s bedchambers at Stirling Castle are decorated in historical designs and artifacts. In these quarters, two ladies in waiting and a gentleman courtier were dressed as they would have been for a royal ball. They looked incredibly uncomfortable in these richly embroidered clothes of brocade and embellishment – I can only imagine what it must have been like when the weather was hot! Remember, they only bathed rarely and never brushed their teeth. So despite their finery, these people must have been smelly! Thank goodness for the invention of perfume. But they looked good, and that’s very important. The outside perimeter of Stirling Castle was designed for defense of the Crown, and it was fortified by thick castle walls. The drawbridges and gates had metal spikes on their bottoms in case anyone tried to squeeze underneath as they were closing, and there were places where burning hot oil could be poured on those unlucky souls who got past the first rounds of defense. The towers were designed for arrows and crossbows, where archers would shoot through slits in the castle walls to reach the attackers below. Along the parapets all around the Castle, ledges were designed into the walls for the cannons that would come in later centuries. Several were left on display for us modern visitors, and we imagined how difficult it must have been to load enormous metal cannonballs into these giants. Many of these battlements were soaked wet by the regular rains, and moss and ferns were growing out of the stone which gave it an even more authentic old world feeling. Imagine how much food it took to feed a castle full of people every day! The kitchens were vast, and Stirling Castle has done a great job of displaying what took place in the palace cookery. In one area, enormous pots are set up on fireplaces meant to boil stews and vegetables for the royal tables. In another, bakery ovens are shown with bakers making loaves of hearty bread. Giant wheels of cheese, baskets full of fresh fruit, kettles of fish and a whole pig on a roasting spit illustrate the wealth of the Castle. If this all makes you hungry on your visit, you can always pop over to the Castle’s Unicorn Café for a full meal or snack to get you by. A banquet fit for a King and Queen? These were the royal specialties of the medieval days at court. For those will younger kids, there is a very cool display on the ground floor with castle rooms dedicated to hands-on learning posts about life in the castle. 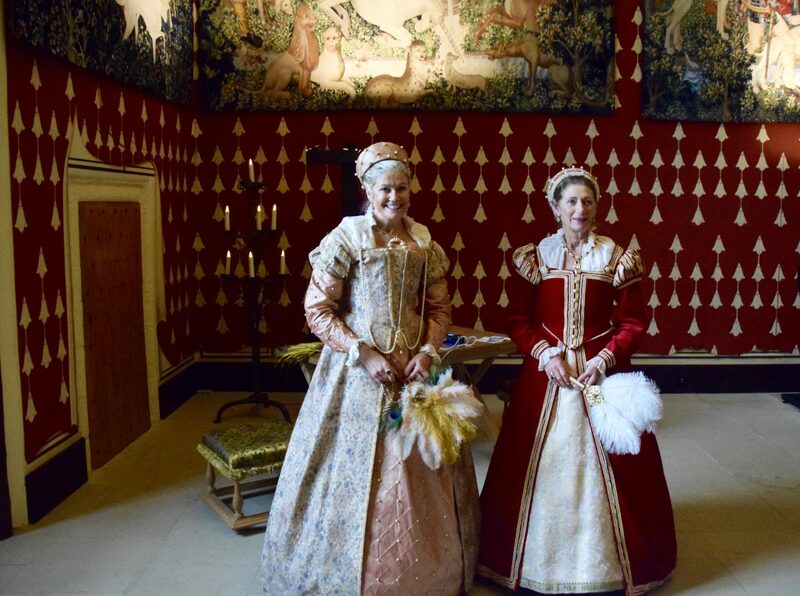 In one, the clothing of the Queen and King and their courtiers were on display with real example of fabrics replicated from back then, all available to touch and feel. There are even small costumes the kids can try on to feel more authentically from the period. In another room, an artisan is shown carving the famous Stirling Castle medallions out of giant rounds of wood. Upstairs in the castle, you can see the ceiling adorned with these medallions and family crests, which is a marvel of artistry and a well-known part of the Stirling Castle tour. Look for them in the King’s chambers upstairs. Plan on spending a good half day on this Stirling Castle adventure, what with the short ScotRail train ride, the walk through the great little town, and then the incredible castle tour. Although I would have preferred an earlier start (Ava likes to sleep laaaaaaate) we arrived at the Castle at about 10 am, and left around 1 pm for a little lunch in town. Stirling Castle ticket prices are very reasonable – about $ 20 US for adults and $12 US for kids. We highly suggest you purchase the Edinburgh Days Out Travel Pass from ScotRail, which allows the entire family to trek across the Scottish countryside from Waverley Station for two consecutive days, hopping on and off as much as desired. Rather than fumble around with unfamiliar change at train station ticket machines, we just whipped out our passes and buzzed right through. So easy! The Edinburgh Days Out Travel Pass is about $ US for a family ticket, and approximately $ US for an individual (kids under 5 are free, and kids 5-15 are half price). Such a deal! Buy the Travel Pass at the ticket windows in Edinburgh’s Waverley Station or any other station just once, and then enjoy them to visit any destination to which ScotRail travels. Stirling Castle seems truly charming and remarkable. I would love to explore it. Is one day enough to see everything there? It really is amazing. You can definitely do it in one day, but plan on spending several hours there to take it all in. Plus the town of Stirling is really cool too. Gorgeous, even in the rain. And the food! Looks like a feast for kings! love visiting castles and learning about the history; how it was built, how long it took to build and of course the battles that happened. What a fun excursion. yes we love that stuff too! 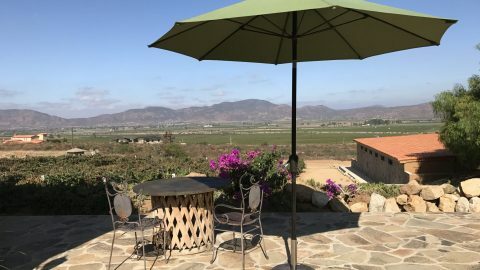 I know – we could not have asked for a more appropriate welcome! What a charming place to explore! It totally is like stepping back in time! 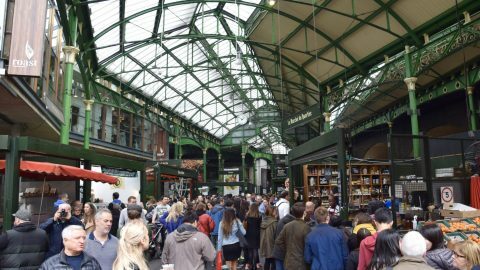 It was just like that – we could have stayed for hours more. I loved Stirling Castle. Actually it was one of my favorites. 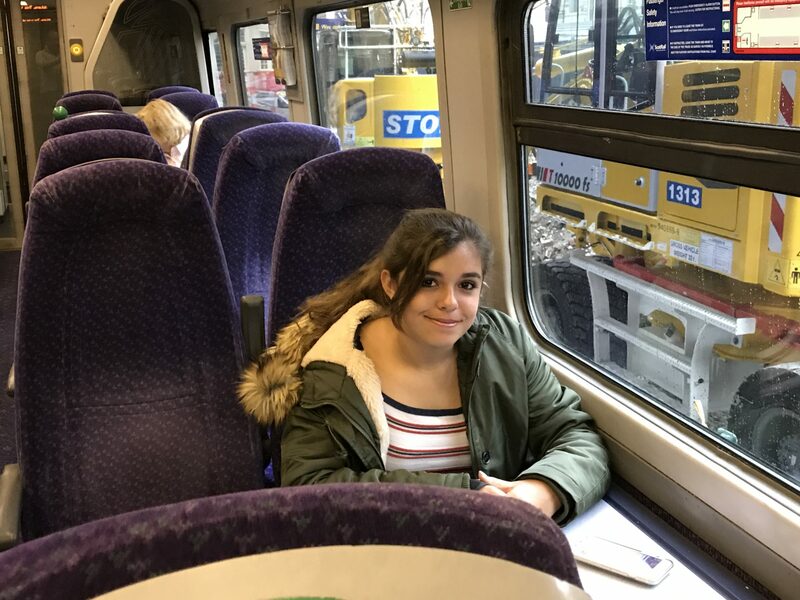 We also took Scotrail and I became a fan! I wish we had something like that in California.